As an English person, I can tell you there is no beach called the North of England Beach. 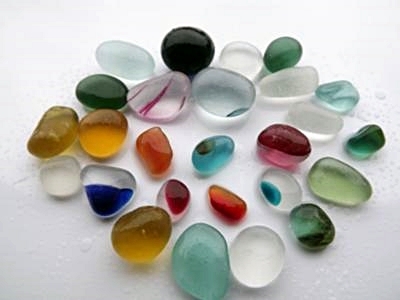 As a sea glass collector, I doubt all these pieces were found in one spot. As an ex English teacher, I doubt that post was written by someone called Robert Fuller! What great finds! Where were you? That is beautiful...did you find that in the USA?